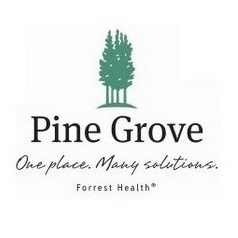 A Pine Grove Psychiatrist once said, “A health problem left untreated usually gets worse.” We all know this intuitively, which is why we typically seek help. In some cases we may choose to ignore a set of symptoms for a while, but when our lives become so negatively impacted we typically seek help. And when we do seek help, more often than not, we find some relief. So why ignore the problem? Why choose to do nothing? One reason is shame. More often than not this occurs when there is a mental health problem. Some believe that mental health is a matter of will power that if the person would only think right, get their act together, or try harder the situation would improve. Frequently mental illness has no noticeable wound or bandage. We can see behaviors, the interpersonal interactions with others and the corresponding social impact. But these are things that most people feel they can control, so why can’t everyone? Waking up and getting dressed in the morning is a chore for someone who is depressed, navigating a social gathering is difficult for people with anxiety, and getting through a school day is hard for students when they are distracted. A lack of will power has nothing to do with it. Apply the same rationale to a “medical” problem. We would never tell someone with a medical issue to pull themselves up by their bootstraps, why then do we do this with an emotional illness? You wouldn’t tell someone with a broken leg, cancer, or arthritis that it can be controlled with will power. You would encourage them to seek immediate treatment. The same encouragement should be given to someone with depression, anxiety, or any other mental illness because as we all know that any health problem left untreated typically gets worse.